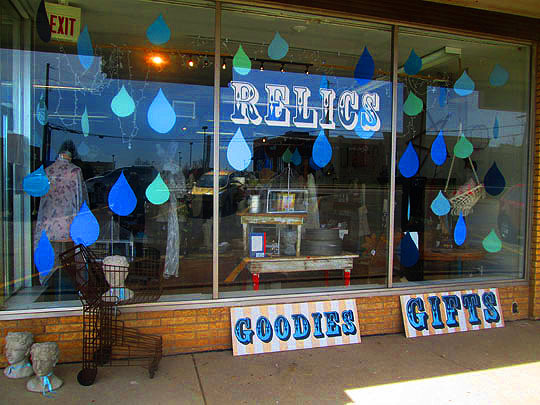 This week on Saturday Storefront we’re going to spotlight the front of one of my favorite Peoria stores, Relics. 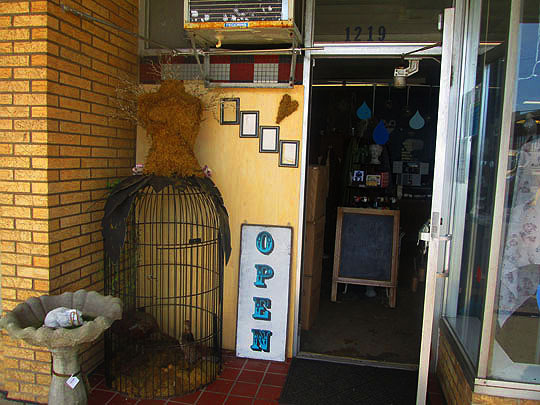 It’s a store filled with hidden treasures and gems and I guarantee you that you won’t find anything in the store at another shop in Peoria. 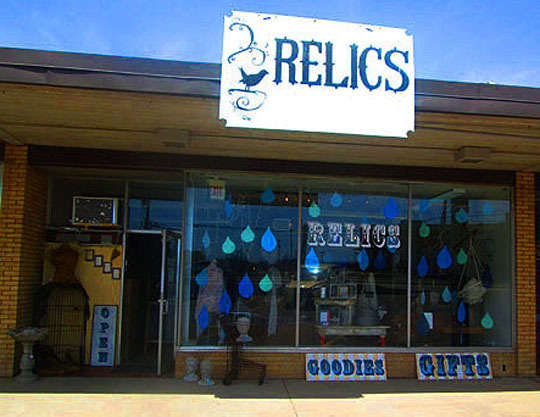 There’s a treasure-trove of unique items on the inside, but there’s also lots to be seen before you even walk through the door, let’s take a look at Relics Storefront! Relics started out on Adams Street next to Cracked Pepper. Owner Deb Opyd opened up that store in 2007 and in 2013, she moved to the current location on Glen in the shopping strip right next to Sherman’s on Glen. I’m always amazed when people tell me they’ve never been in here. Deb personally stocks the store with items unique and unusual items and the inventory changes often, so when you go back for a visit there’s always new treasures awaiting you! There’s links at the bottom of this post that will show you the inside of Relics, but for now, let’s look at the outside of the shop! The front window design changes with the seasons and for spring there’s multi-colored drops of rain falling on the window. Although the way this spring has been going, she could’ve added a little snow as well! The logo is painted on the window and there’s a shot inside of the store with an obligatory mirror silhouette. Goodies and gifts can be found inside! I love the antique grocery cart with the stone bust in it. Perfect for when someone asks you to deliver the head of Alfredo Garcia! There’s other items outside of the store to the left of the front window. There’s a stoned bunny and two birds in a cage laying porcelain eggs. And an angel torso is perched on top. Perfect! 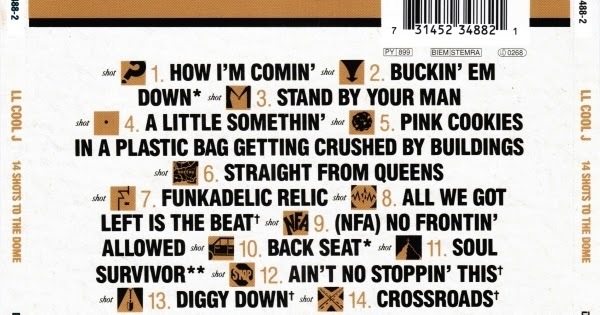 Check out the MBIP tribute their! I’ve been framed and I love it! 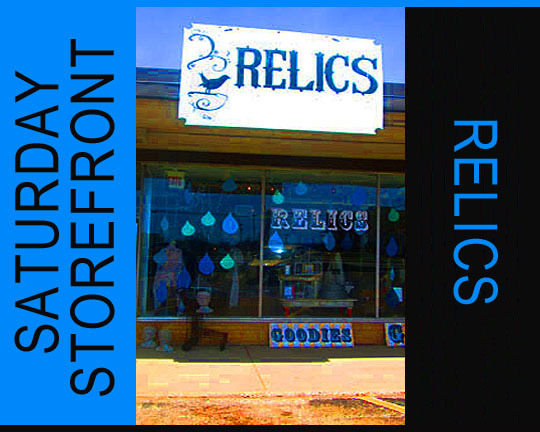 Relics is open seven days a week for your shopping pleasure! December 5, 2013: The Twelve Shops of Christmas, Part Two! July 19, 2017: Shop Hop @ Relics: Special Birthday Edition! Related Post: Storefront Saturday: Younger Than Yesterday.